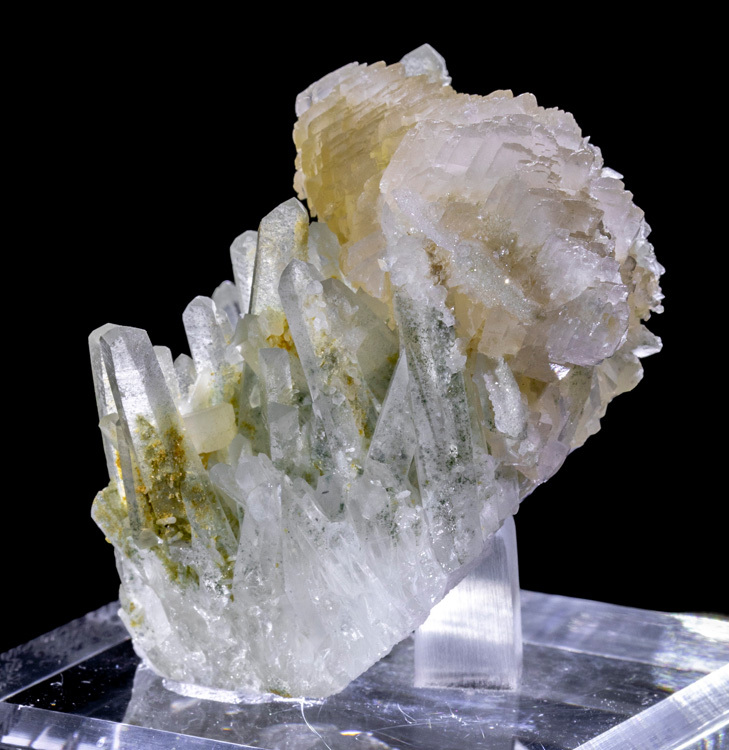 A beautiful calcite on quartz from a one-off pocket at the Borieva Mine in Bulgaria! 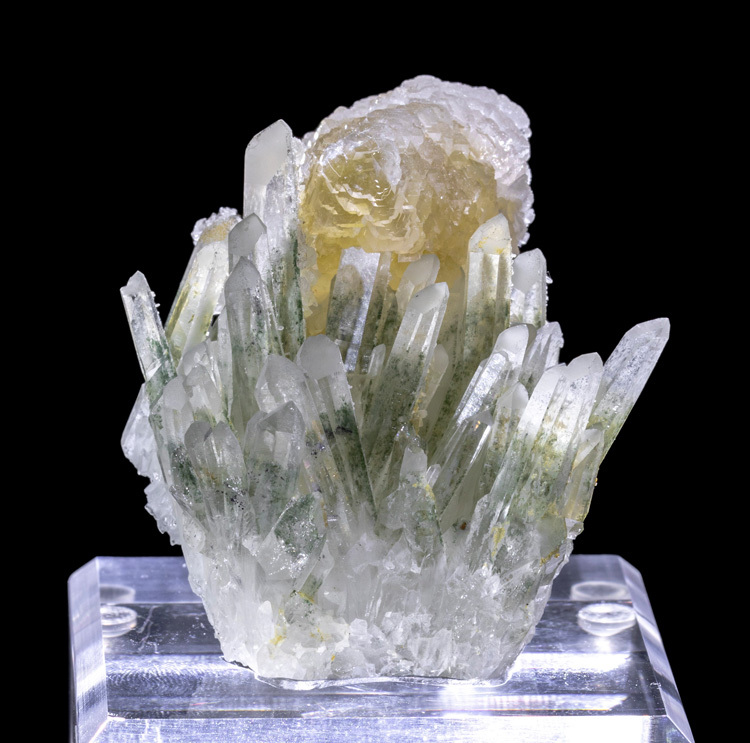 This pocket was discovered in late July of 2017, and this is one of the most aesthetic of the smaller specimens from the find. 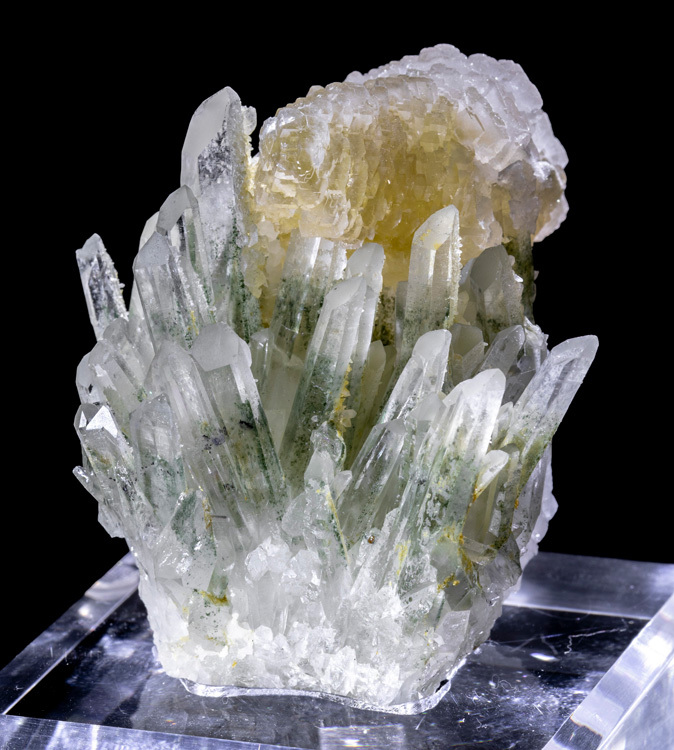 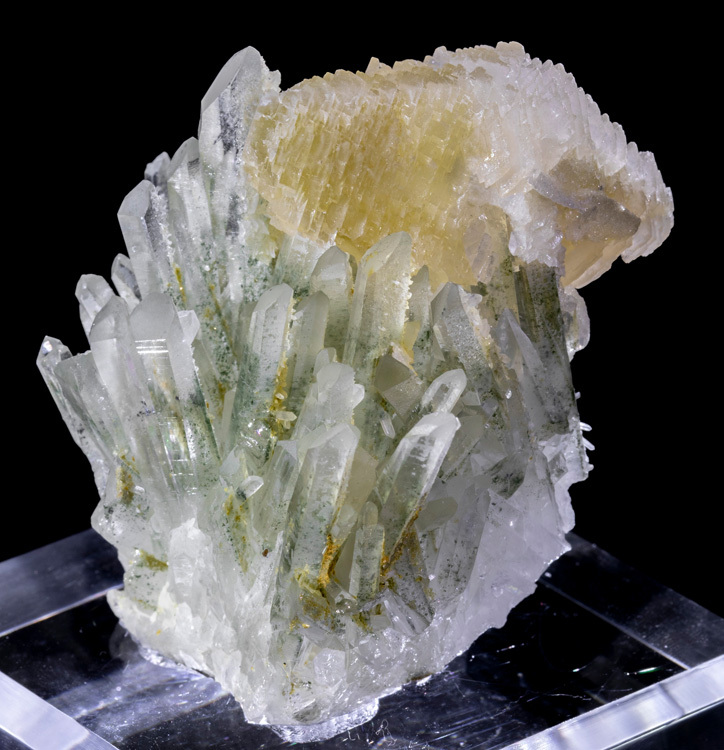 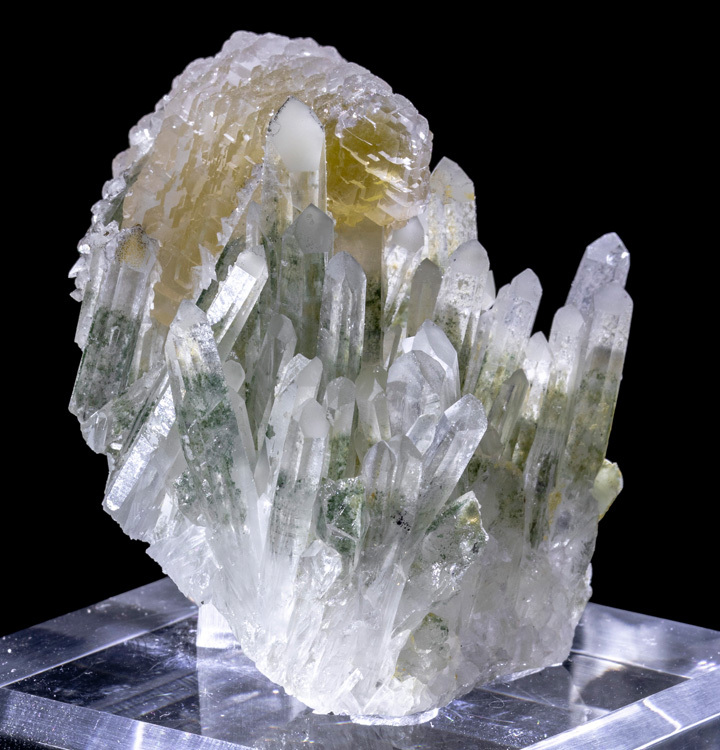 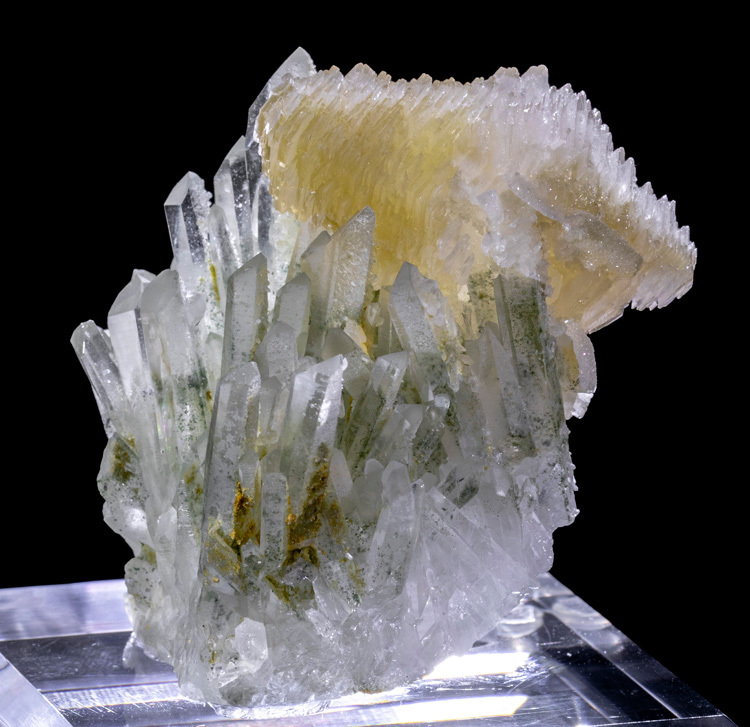 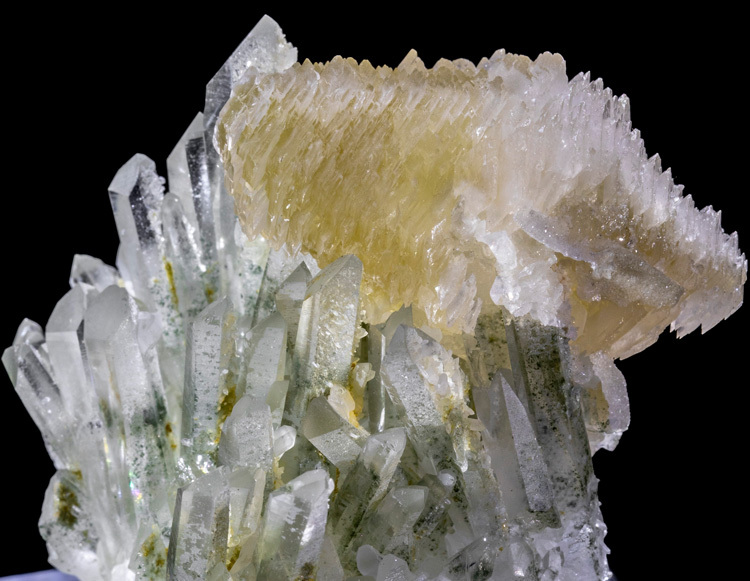 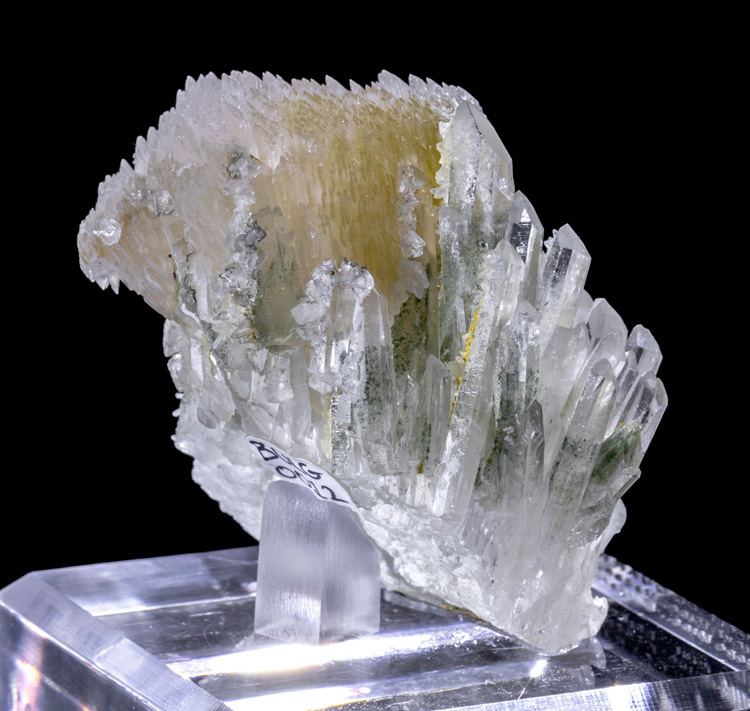 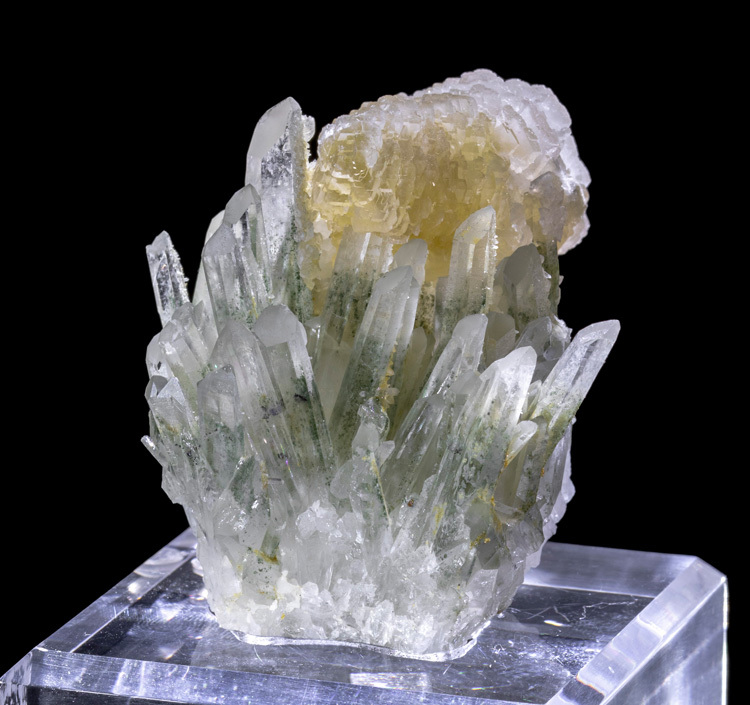 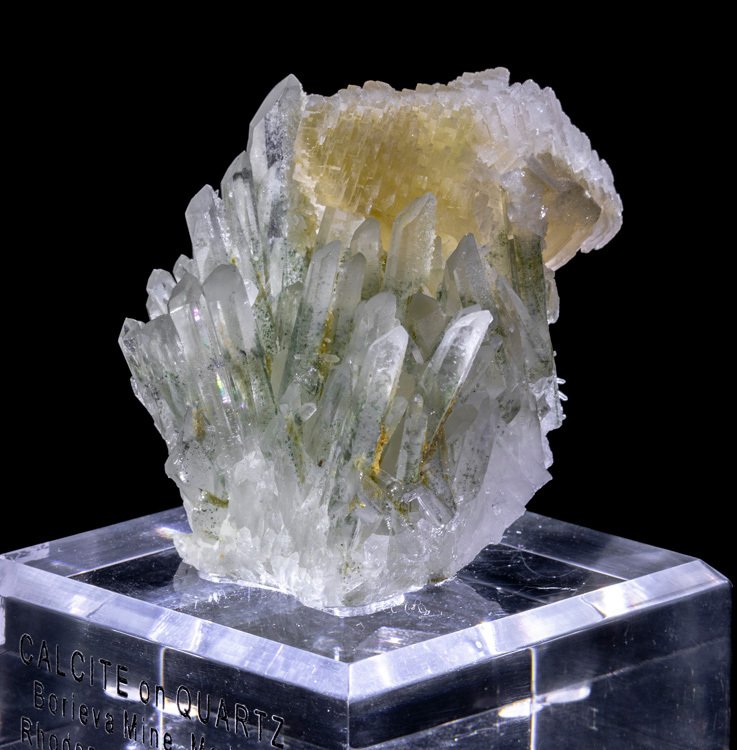 The specimen features a single, doubly-terminated calcite crystal, perched atop a bed of finger-like quartz crystals with green chlorite inclusions. 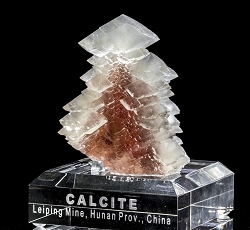 The calcite has yellow-amber color, and is a scalenohedral crystal comprised of hundreds of flattened, stacked rhombohedrons. 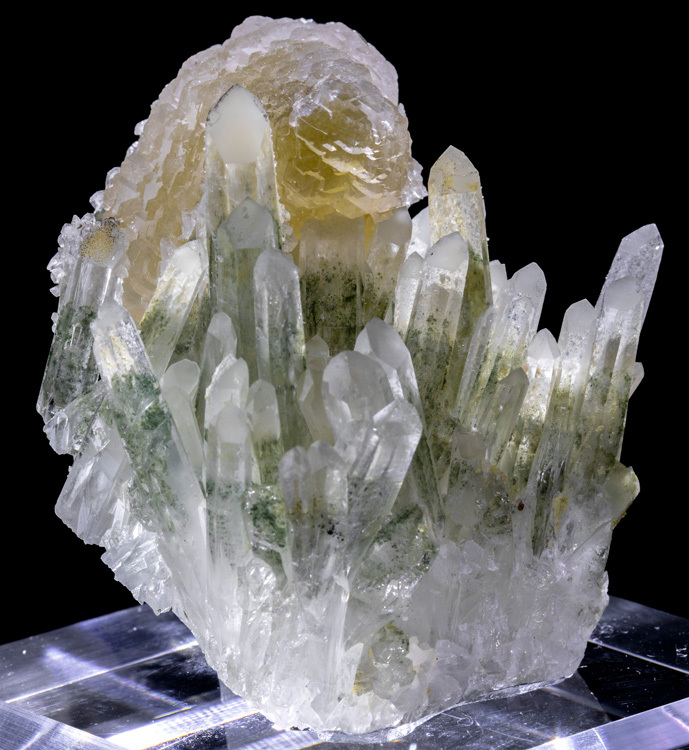 A highly aesthetic, beautiful, and unique specimen! 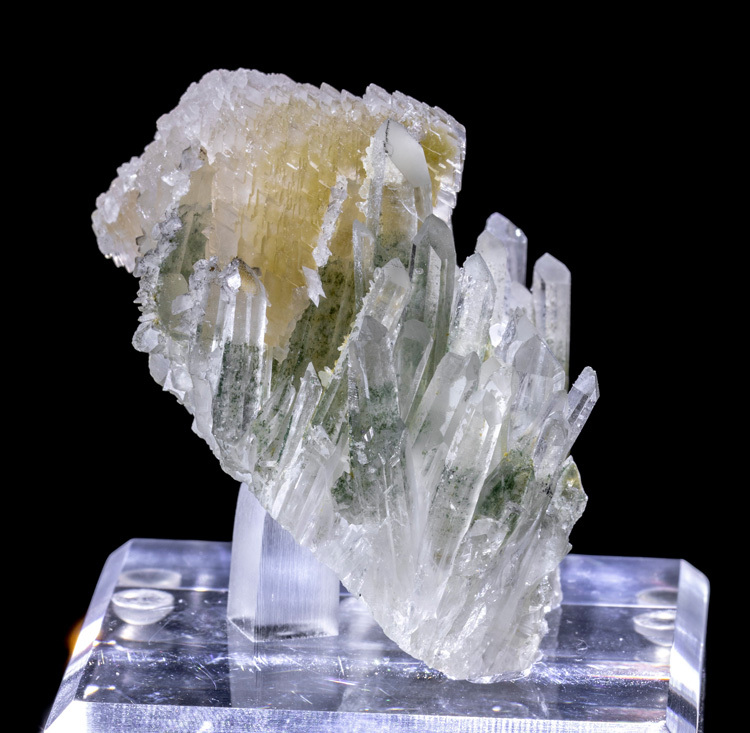 Very good condition with no major damage.